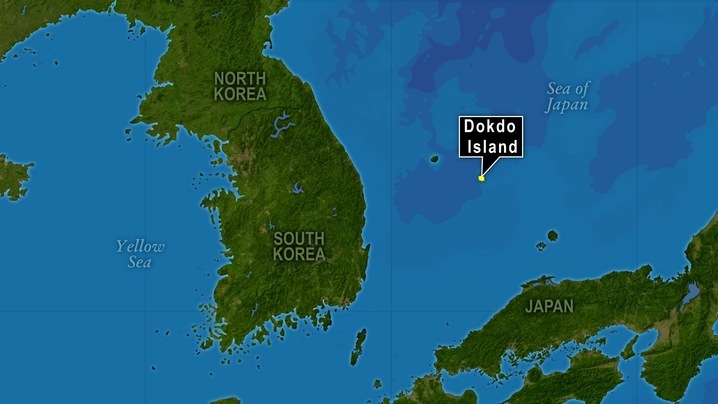 Whare are The Takeshima or Dokdo Islets? These islets are located in the Sea of Japan and are a bone of contention between Japan and South Korea. They are 210 kilometers across the water from Japan and South Korea and are only 19 hectares in area. These islets are called the Liancourt Rocks in the West, Takeshima in in Japan and Dokdo in South Korea . Japanese occupied Korea during Second World War and withdrew from Korea after its defeat, which led to the signing of the 1951 treaty with the Allied Powers, under which Japan relinquished most of the Korean territory. But Japan argues that under the 1951 peace treaty, the Takeshima or Dokdo islets were exempt from the deal. However South Korea does not accept the Japanese contention; it treats the islets as a part of it’s territory. This is the reason why the South Korean government in 1952, took control of the islets. Thus Dokdo is currently under South Korean control, which is termed “illegal” by the Japanese government. In August 2012 Lee Myung Bak became the First S.Korean President to visit these disputed islets. This escalated the tension between two countries. 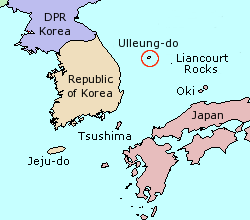 The South Korean government also wants to build a naval base on the Ulleung Islands, near the Dokdo islets, in order to fortify the area around Dokdo. There is also a dispute regarding the naming of the sea surrounding these islets. 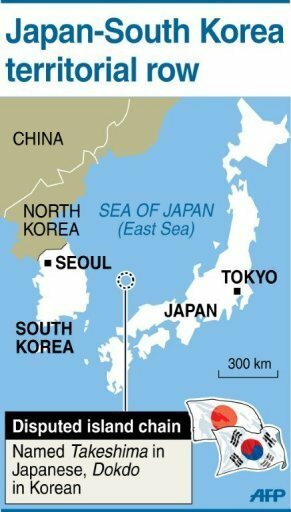 South Korea refers to the sea as the East Sea, whereas Japan refers it as the Sea of Japan. The islands are located in the Sea of Japan, which has valuable fishing grounds. The seabed of the area contains vast, untapped reserves of gas hydrates. South Korea views these islets symbols of a lingering colonial vendetta with Japan which occupied Korea for a long time. Thus the bitter memories of a Japanese occupation and a newfound economic prosperity and technological prowess have combined to give birth to this aggressiveness amongst the South Koreans. Moreover Lee Myung Bak will step down as President in December, before leaving office, he wants to rake up the nationalist sentiments in order to improve the chances of his party’s presidential candidate. Both the countries matter a lot to the United States. Their enmity can adversely affect America’s standing in the East Asia. Japan and South Korea are America’s most important strategic allies in Asia. Cooperation between Japan and South Korea and in turn with the U.S. is essential in keeping North Korea in check. Both should file a case of arbitration by the International Court of Justice (ICJ), Hague. Japan is ready to go to the ICJ but South Korea has refused. The South Koreans feel, the islets are theirs and approaching the ICJ for arbitration will only contradict the claim made by them. For the South Koreans Dokdo is an emblem of their independence from Japanese colonial rule therefore the South Koreans are emotional about these islets. However the Korean government will have to control the “emotional outbursts” of its politicians and citizens in order to assuage tensions between both the nations. This article is contributed by Mr.Varoon Bakshi. Clear and succinct. Thanks ! hi..mrunal…great job…looking forward to your insight on the austerity case going on..plz do help..
Great work Mrunal. Have become a regular visitor of your site since last 2-3 months. Can you please present an article on India-US civil nuclear cooperation. Thanx.